We are amongst the most sought after Manufacturers, Exporters and Suppliers of the beauty supplements. One of our beauty product LUSTURE, a beauty honey controls signs of ageing & replenishes skin from inside. Its herbs may protect skin from onslaught of free radicals, help remove ama (toxins), reduce skin response to UV radiations by increasing subcutaneous blood flow, stimulate the synthesis of collagen, control mental stress which is linked to dehydration of skin and stress lines on face. 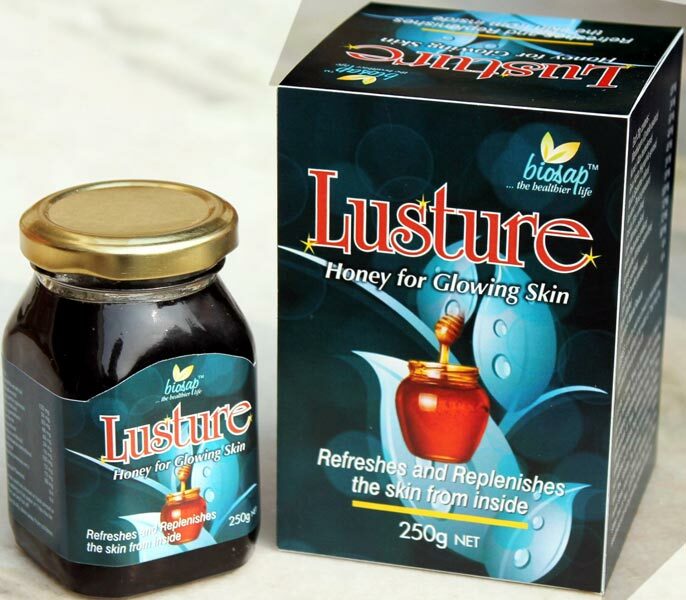 Lusture Honey may help you attain smooth and soft skin by providing nutrition it craves for. Suggested use : Take 1 to 2 spoon full into 100ml hot water stir and drink with breakfast and with evening snacks.